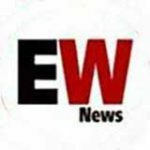 THE Euro Weekly News’ Facebook page has climbed past 30,000 ‘likes’ this week as the EWN in print, online and social media continues to enjoy rapid growth in 2019. The EWN team work around the clock, seven days a week to ensure that our fast-growing social media community is provided with the latest, most accurate news from an English-language news site in Spain. While other sites may engage in sensationalist headlines to gain clicks our readers prefer us to deliver the news as it is. And that’s just one of the reasons why advertisers choose our print and online packages to reach out to customers with maximum reach for their budget. In the past year alone our Facebook likes have grown by a massive 6,000 new fans and now we have new targets in our sights. We generally post more than twice as many news updates to our Facebook page as other smaller newspapers and with double the engagement rate. And we have almost double the number of followers as a fortnightly publication based on the Costa del Sol. One smaller paper still claims it is Spain‘s number one expat newspaper and ‘second in the world,’ but their claim is from 2016 and involved just a small sample of people that were polled by a UK marketing group – and the awards have not been run since. On our website and our Facebook page we encourage readers to enter into the debate on hot topics and engage and comment on our posts with the best of them also appearing in print every week. Unusually in the English-language news publishing sphere in Spain we allow our readers to review our Facebook page and we’re proud to enjoy a rating of 4.6 out of 5 – based on the opinion of 401 people. Ask yourself why other titles do not allow reviews on their page. What could they be hiding? Some publications refuse to show a rating and, instead, rely on dubious stats from tools like Alexa. So the Euro Weekly News avoids such flawed tools, and relies instead on what you – our readers and clients – actually say about us. We think that is the best way. “Excellent service and a great place to advertise my business! Great advice and attention to detail. Thank you,” says Jemma Wilson. Much as we enjoy getting great reviews we’re not going to rest on our laurels and have exciting expansion plans in the pipeline – online and in print. Head over to our www.euroweeklynews.com website or visit our www.facebook.com/EuroWeeklyNews/ community to find out what you’re missing out on.